Follow up on the shingle and curl set! 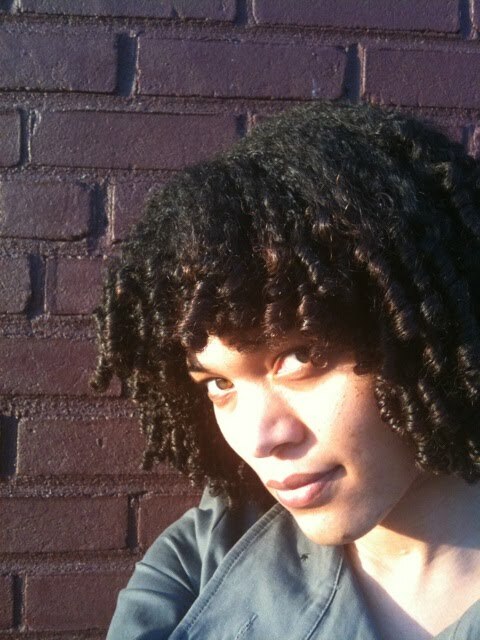 Welcome to everyone who found me through CurlyChronicles Vlog post on It's Just Hair. I am so excited to meet so many new friends on Youtube and on my blog! I have been clicking on everyone and everything in every spare moment I have, with the enthusiasm of a 3 yr old lol. 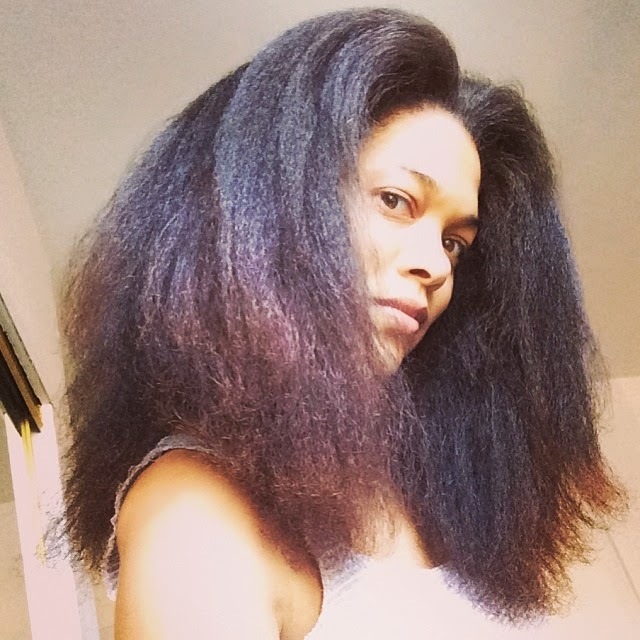 Thank YOU CurlyChronicles for your celebrity endorsement, and for making some of the best videos on highly textured natural hair, styles and culture. I know a lot of people enjoyed the video on the shingle and curl set. I'll certainly make more vids, and I'm very glad the low quality from my iPhone vids is not a total deterrent from watching them. So I also wanted to share the picts I took as the set aged and reverted. The first picts are from the first 2 days after I did it. The last picts are from the Friday before I washed it (6 days later). It held up pretty well, and I never put curlers back in it at all. 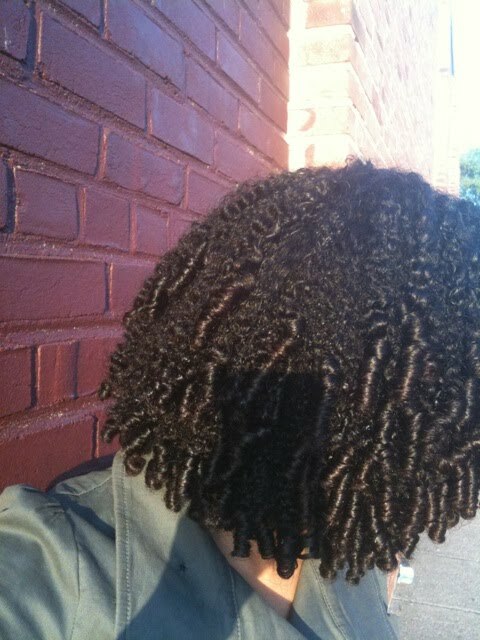 I tied it up at night but the edges got frizzy fast- I think the next time I would do some flat twists there first for some staying power. 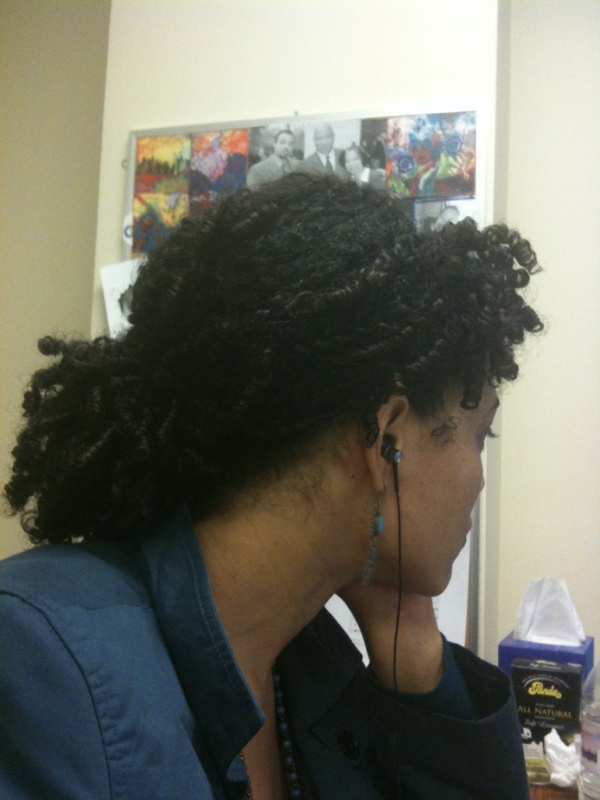 I did notice that my hand-in-hair-syndrome was very counter productive to this being a protective style in any way. 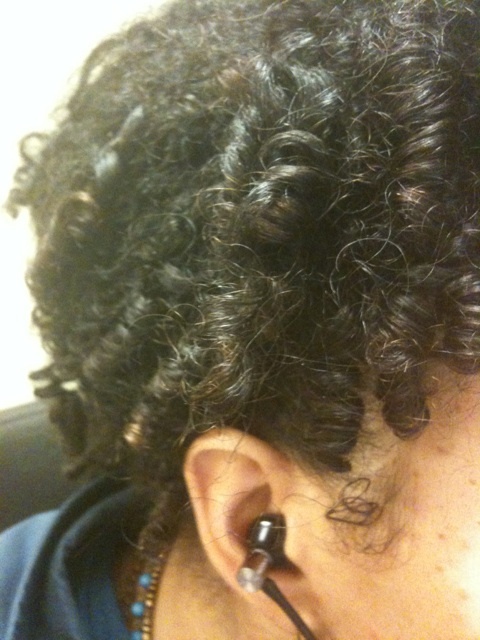 The circular shape of the curls promoted knots if I were to even think about seperating dry curls. Big no-no for this set. Don't separate dry curls. 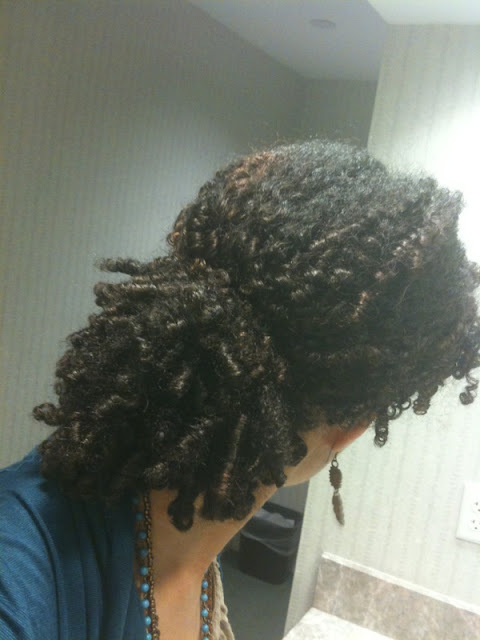 Other than that- I used the Natures Blessings pomade and castor oil daily to keep it "moist." 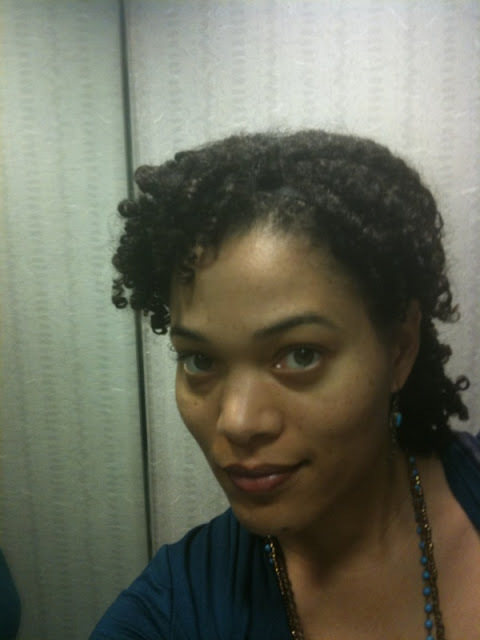 Natures Blessings is a natural Pomade I get from my local health food and ethnic stores around DC. It's usually about $4-$5 bucks and smells herby-wonderful. My BF uses it on his curly hair regularly and for him it's enough to keep his curls shiny and popping all day. We call it the "Green Stuff." So here is day two. Excuse the shadows! Then the final day, with a headband and loose ponytail. The curls got smaller and smaller every day as my own curl pattern began to reclaim my hair. That is such a gorgeous style! Celebrity, who me? nahhhh lol I just like the DIY style of youtube haha. 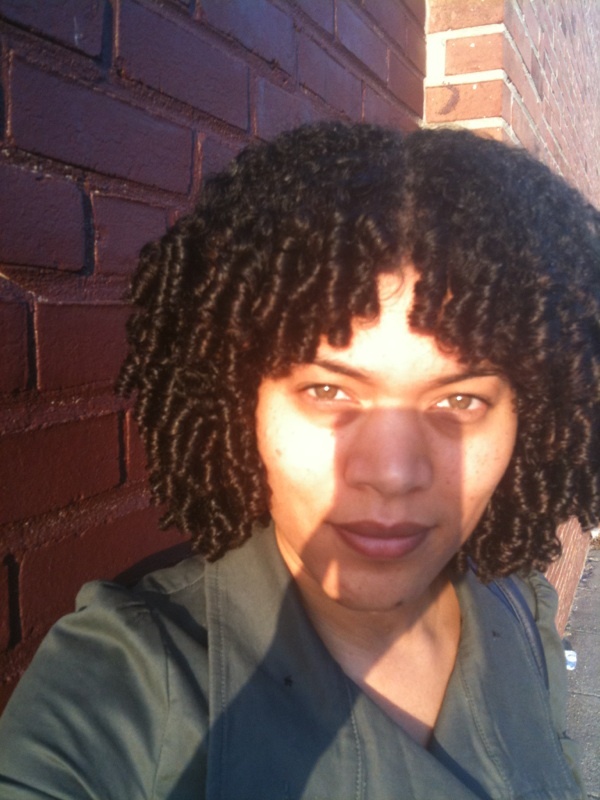 I came here from CurlyChronicles too :) I LOVE your blog! The slide show is AMAZING and thank you so much for that! 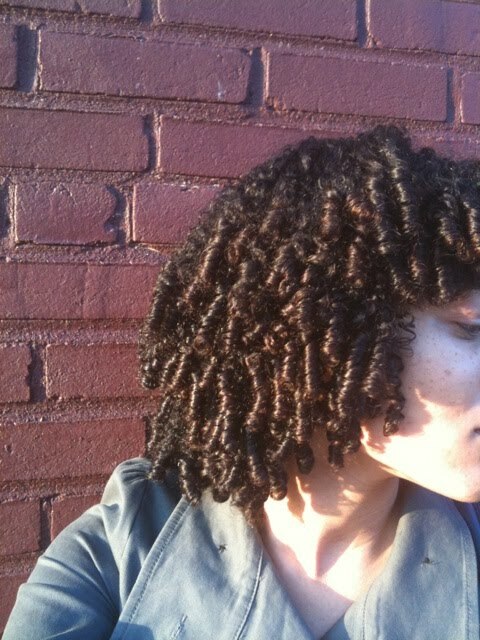 Natural hair is soooo versatile, seriously! You have a way with the hair that's for sure. Absolutely gorgeous and I love the bangs, and I think I'll try that with my hair tonight. Great blog and I''m going to be back regularily!